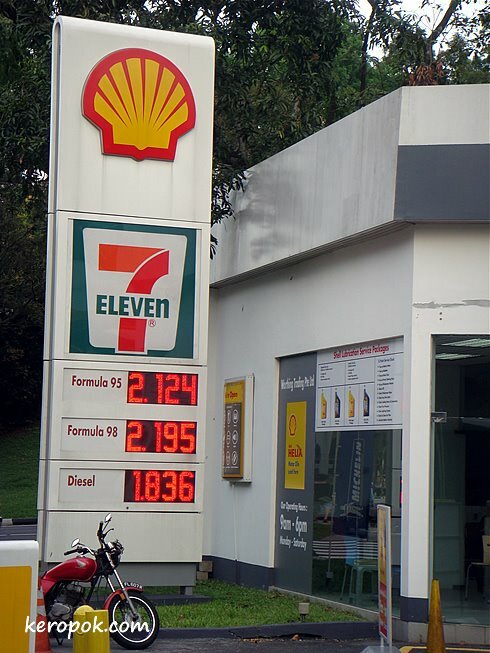 'Boring' Singapore City Photo: Shell V-Power for the price of Shell Formula 98 this weekend. Prices are becoming mad in France too! Luckily, I don't own a Ferrari and your post of yesterday about "wonder broom" makes me thing about it, maybe a good idea to travel? Replace the numbers to the left of the decimal point w/ a "4" and that could be the US! this is true and the offer only applicable to some petrol station.